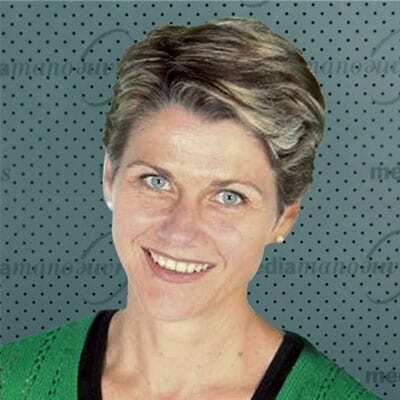 After studying a Bachelor of Arts (Journalism) in Adelaide, Lainie Anderson landed her first newspaper job with the Sunraysia Daily in Mildura, Victoria, in 1989. She spent two years as a sub-editor on the newspaper before moving to the Shepparton News, also in regional Victoria, to take up the role of rural editor. With the aim of joining the Herald Sun in Melbourne, Lainie’s next career move was to the News Limited sister paper, The Weekly Times, as a general reporter. Within 14 months she was recruited by the Herald Sun, and soon joined the paper’s State Politics Bureau to cover daily political life under the Liberal Government led by Jeff Kennett. Career highlights at the Herald Sun included reporting on Premier Kennett’s 16-day European mission in 1997 and covering the 2006 Melbourne Commonwealth Games bid team’s delegation to Malaysia the same year. In early 1998 Lainie headed to London with the aim of working on a major ‘Fleet Street’ newspaper, joining the permanent staff on The Times sub-editor’s desk soon after. Lainie returned to Australia in mid-2000, working briefly as a general reporter with The Advertiser in Adelaide before being head-hunted to take up the role of public relations manager with the South Australian Tourism Commission (SATC). At the SATC she gained extensive experience in public relations strategy, crisis management, speech and media release writing and event management. She remained in the role until giving birth to twin boys in 2003, and returned from maternity leave a year later to become the SATC’s website editor. In 2005, Lainie took over as public relations manager at Education Adelaide – the South Australian Government agency responsible for marketing Adelaide as an international education destination. The following year she was asked to write a weekly column for Adelaide’s Sunday Mail newspaper, writing on topics as varied as politics, motherhood, sport and social issues. In 2008 Lainie started freelancing as a newspaper columnist, radio announcer, magazine writer and copy writer for government and corporate clients. For the next two years she joined the team at Adelaide’s FIVEaa as a regular fill-in radio host on the Breakfast, Morning and Afternoon programs. Today, Lainie continues to write a weekly column for the Sunday Mail and also works as a freelance journalist and media trainer from her home in the Adelaide Hills. She is also the co-founder and director of Australia’s first support website for mining families (www.miningfm.com.au) and co-author of Mining Families Rock, the world’s first self-help book for mining families.